For those of you who may have a home elevator! Women's Iron pills - so many things come to mind! 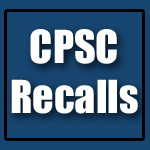 Food item - Chicken recall! Makita 5057KB 7-1/4” circular saw with dust collector.